St. Patrick’s Day is nigh: What to drink during the impending sloshfest? All signs point toward obnoxiously green liquids. Kelly green beer and Jell-O shots spring to mind. But there’s a safer course—one that doesn’t require you to ingest synthetic dyes for the holiday’s sake. 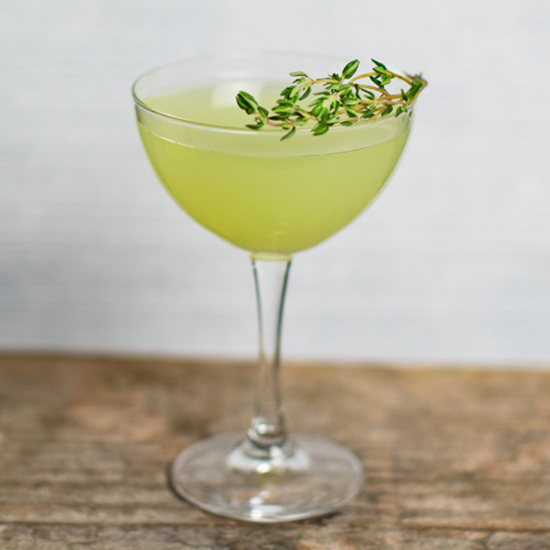 Naturally green cocktails filled with herbs, fruit and green tea will keep you above the fray and leave you feeling fresh as a four-leaf clover. Paging all little green men: The interstellar dram of your dreams is here. The coordinates? 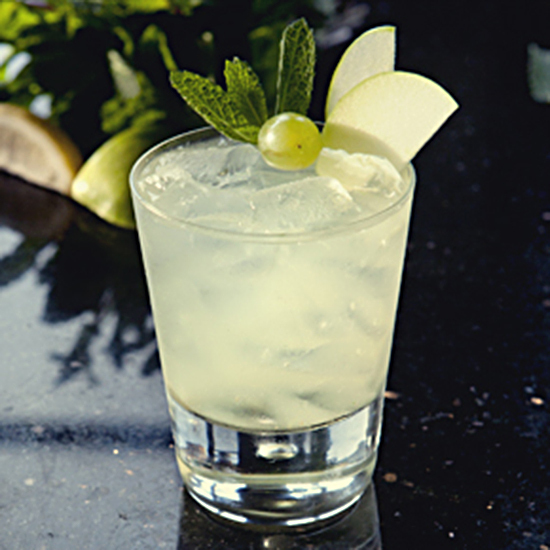 Planted at the intersection of gin and muddled mint, green grapes and green apple. It may be tempting to keep this cosmic glass contained to your own orbit, but try to share with your leprechaun brethren on this, the greenest of drinking holidays. Get the recipe for the Space Gin Smash. 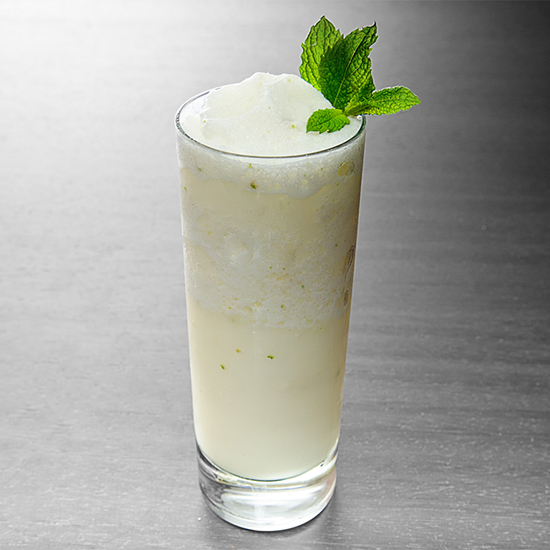 Meet the Mojito’s arctic cousin. The Frohito merges all the lush frostiness of a slushy with the freshness of the summery cocktail. Homemade mint syrup replaces the standard muddled leaves and propels this frozen treat light years ahead of that old Shamrock Shake. Get the recipe for the Frohito. After hours of being jostled through St. Patrick’s Day parades and rowdy bars, you need a warm mug to come home to. 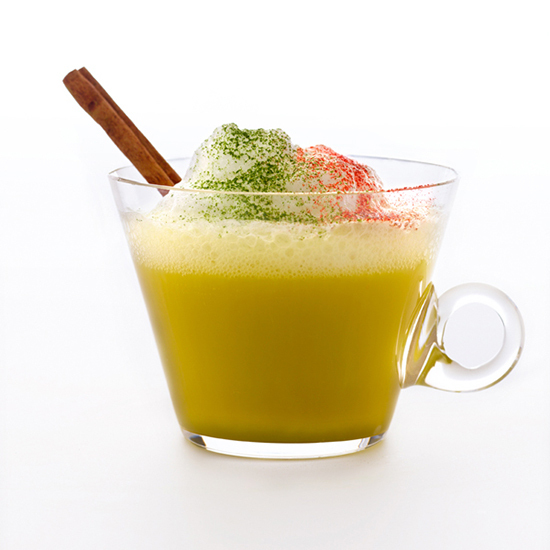 Chase the chills away with this festive yet soothing alliance of green tea liqueur, Irish whiskey and steamed milk sprinkled with matcha and cocoa powders. Get the recipe for the Warming Zen. Forget the year in question: his grassy coupe is timeless. Everybody’s in the pool: aquavit, absinthe and Manzanilla sherry inhabit the deep end, accompanied by cannonballs of flavor from muddled sugar snap peas, verjus, lemon thyme syrup and a pinch of sea salt. Looks like spring has officially taken root. Get the recipe for the Spring 2014. Pale green and glowing, this cognac-heavy highball oozes regal charm. 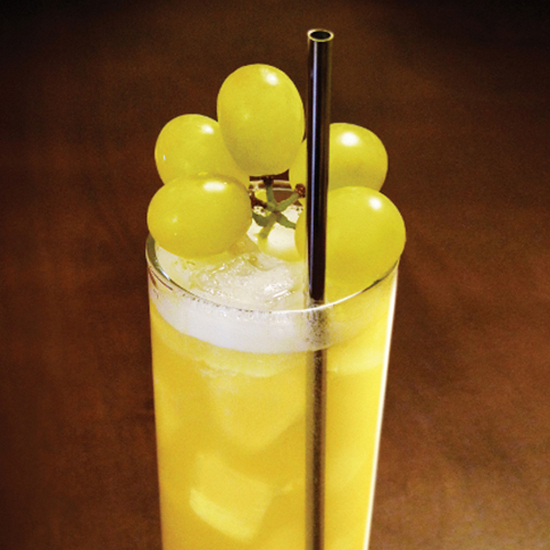 Accord Royal Rémy Martin Cognac bursts to life when shaken with muddled green grapes and crisp Sancerre. The final flourish? A crowning cluster of grapes. Get the recipe for The Royal Crest.